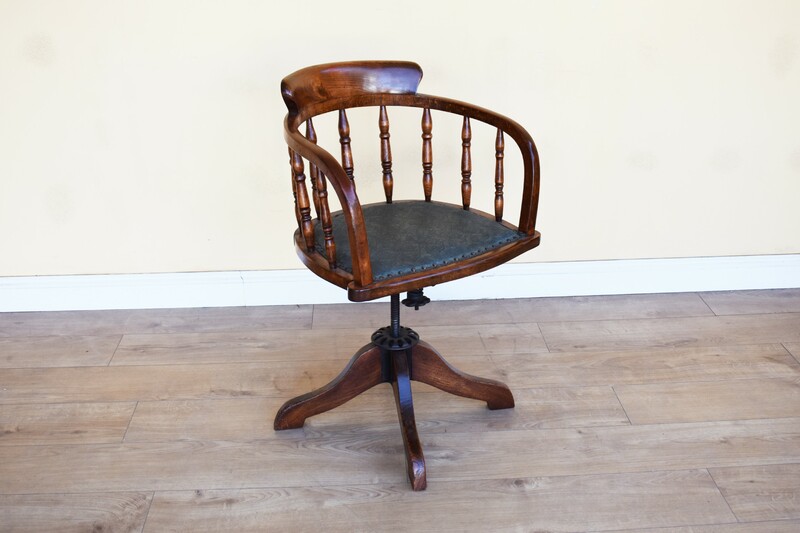 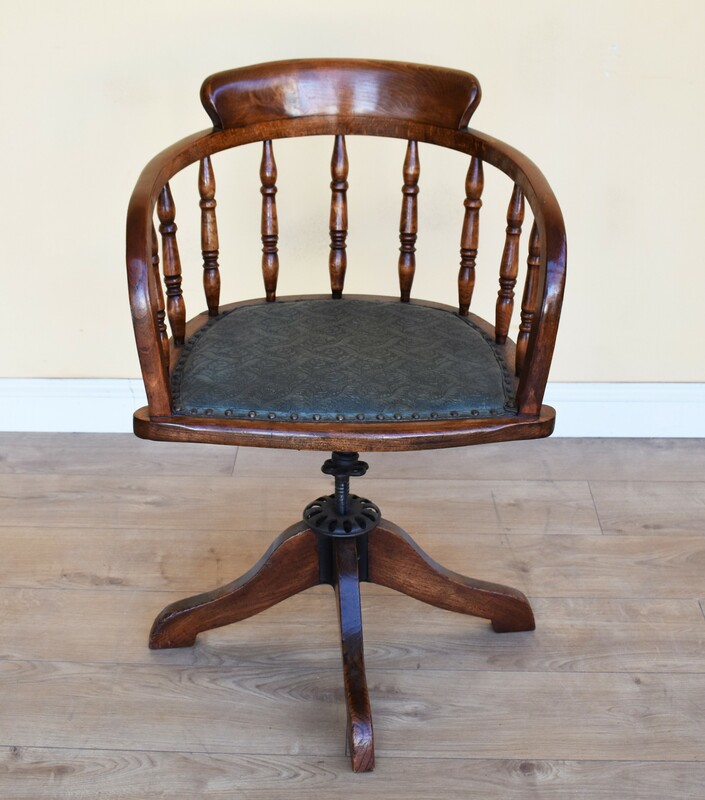 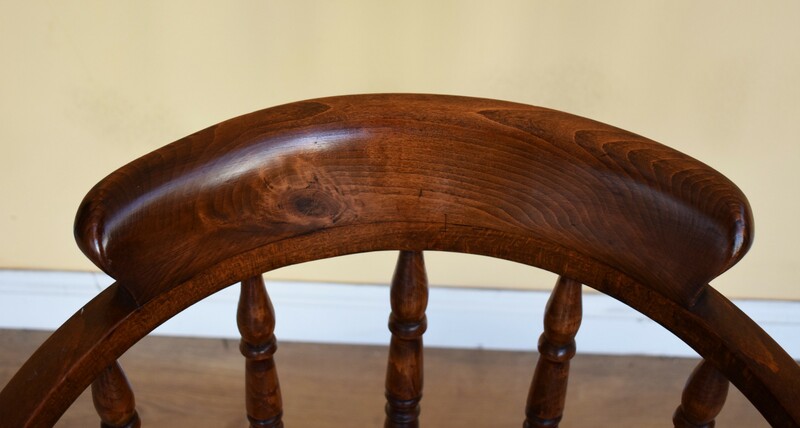 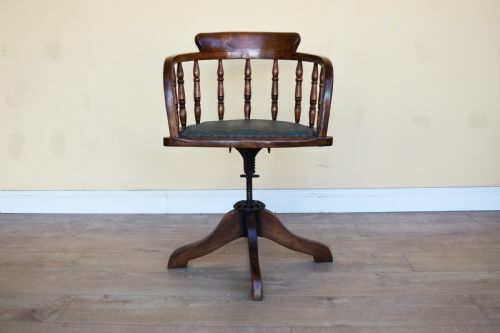 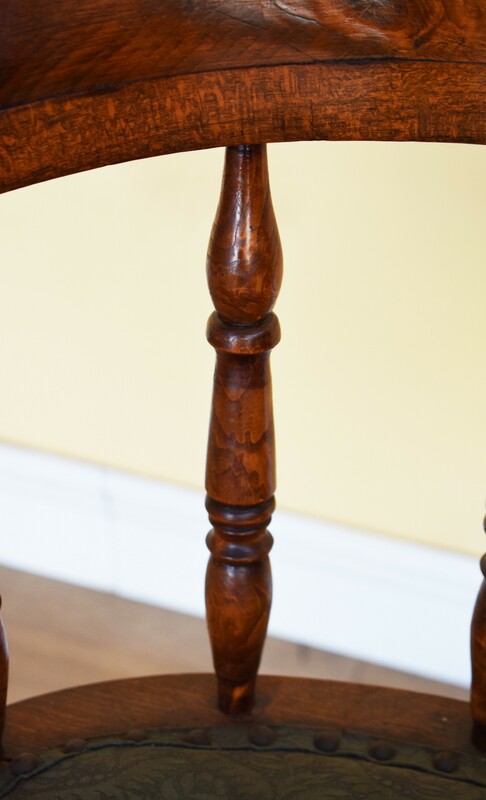 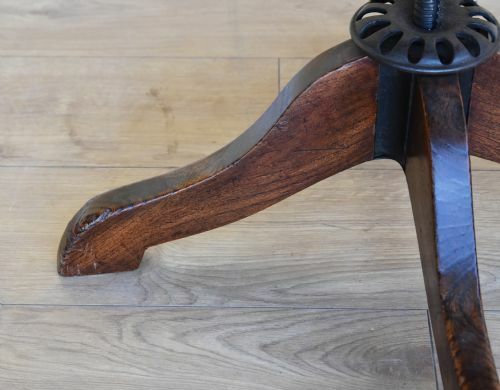 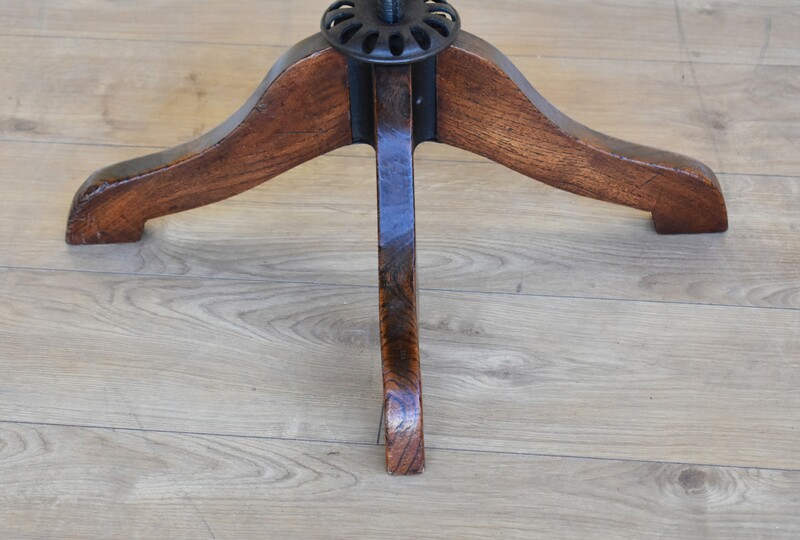 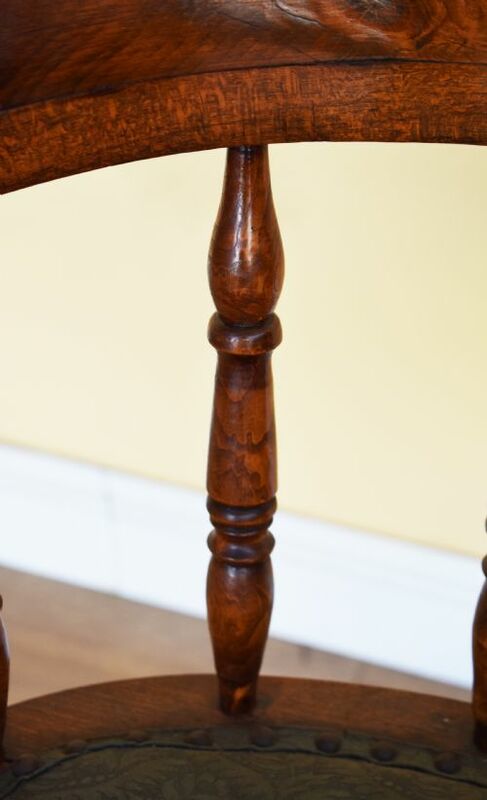 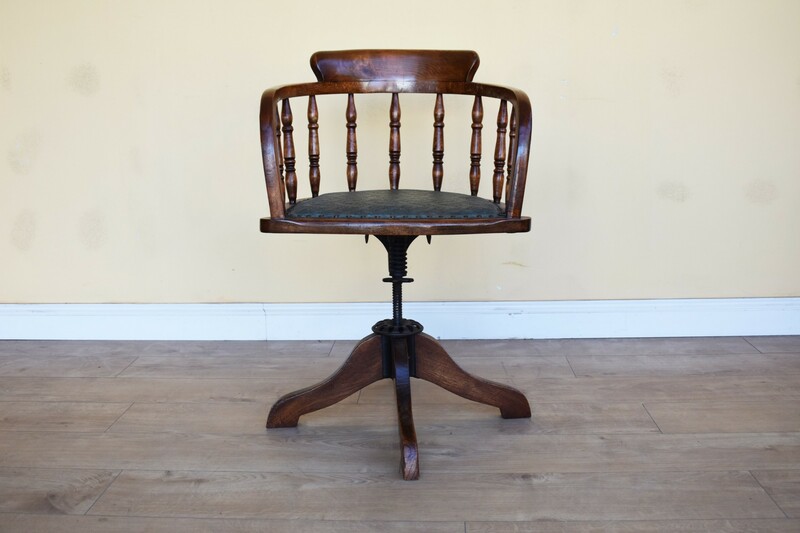 For sale is a good quality Edwardian Solid Oak Captains Chair, having turned spindles in the back, above a green upholstered seat, raised on an adjustable base terminating on four legs. The chair is in very good, original condition. 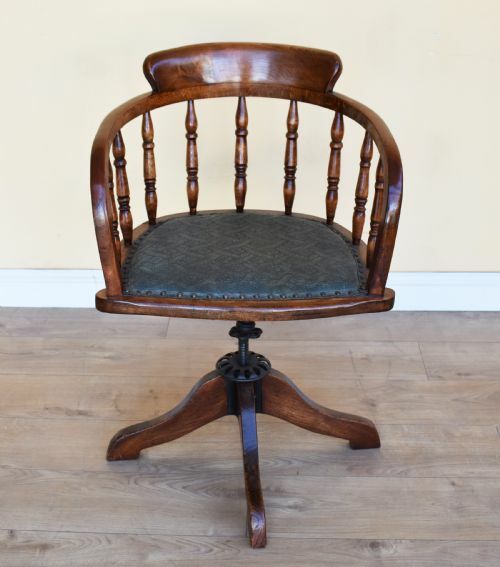 Width: 21.5" Depth: 18" Height: 33.5"
The Edwardian Solid Oak Captains Desk Chair has been added to your saved items.